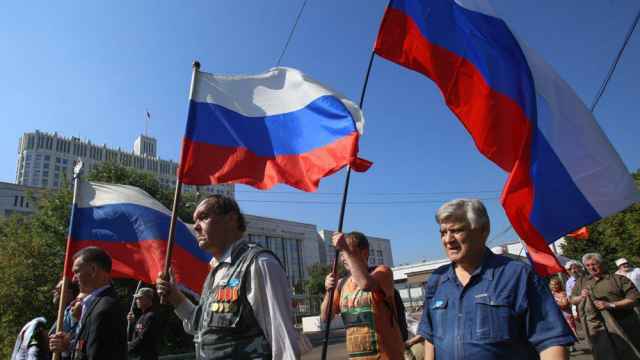 Populists, nationalists and separatists used to receive a warm welcome in Moscow. 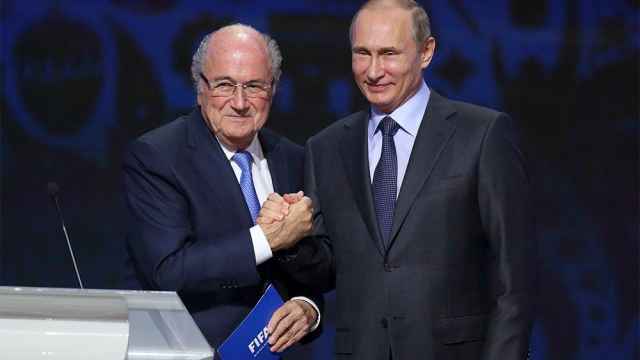 For a country that has seemed so eager to welcome and fête outcasts and fugitives of every kind in the past, Russia’s treatment last week of disgraced FIFA monarch Sepp Blatter suggests it is now trying to pitch itself slightly differently. Once the defiant haven of the world’s deplorables, now the Kremlin wants Russia to be seen as neither part of the Western-dominated order, nor its foe. Just different. The 82-year-old Blatter, seemingly unbowed by the continuing U.S. Department of Justice investigation into his affairs, nor the ban on football-related activities placed on him by FIFA itself, came to Moscow to make his presence known. With surely knowing brazenness, he even dined with Vitaly Mutko, the figure behind Russia’s infamous Sochi Winter Olympics doping scandal. For all this — and his own claims to be in Moscow as a personal guest of President Vladimir Putin’s — Blatter was given less than the kind of public, formal welcome he might have expected. After some uncertainty, he did eventually meet Putin — who could hardly have said no, given Blatter’s role in getting Russia the World Cup — but this was a low-key and private affair. There were no photo opportunities of the pariah and the president. Is Blatter really more toxic than Assad? More dangerous than Libyan warlord Khalifa Haftar, who was given a very public welcome on a Russian aircraft carrier last January? More laughable than Gerard Depardieu taking a Russian passport to cut his tax bill? Until recently, Russia’s willingness to welcome all the West’s marginalized, disgruntled and damned reflected, as much as anything, a forthright challenge to the global order it considered (not wholly without reason) as shaped by the West, and for the West’s advantage. Populists, nationalists, separatists and iconoclasts of every kind could be certain of a warm reception in Moscow. If you were against the mainstream, you could find a platform and a welcome. Challenge the West’s dogma. Say the unsayable. Question more. This had several advantages. It generated a steady stream of “useful idiots” happy to whitewash the Kremlin and do their best to open up social and political divides in the West. It allowed the government to present itself not as being isolated, but as the champion of an alternate system of values. Indeed, as liberal, frustrating the censorship and groupthink of a West that had sacrificed its values on the altar of political correctness. For all that, there has been a downside. Russia may pretend to have devil-may-care indifference about its place in the world, but there are political, economic and psychological costs to being treated variously as a bully, a gangster and a social retrogressive. “Russophobia,” the pathology Moscow perennially sees in its critics, is not wholly mythical. But its greatest source is the Kremlin’s own actions. You cannot invade neighbors, assassinate enemies, loot your own economy, spread lies and rig sports contests without getting a bad name. The World Cup was originally envisaged as a modern Russia’s coming out party. The annexation of Crimea and its fallout changed all that. But the tournament is nonetheless being used as an opportunity to try some limited reinvention. This doesn’t just mean smiling railway attendants, glittering street lights and relaxed police. It also means scaling back some of the aggressive policies that have been behind this characterization of Russia. 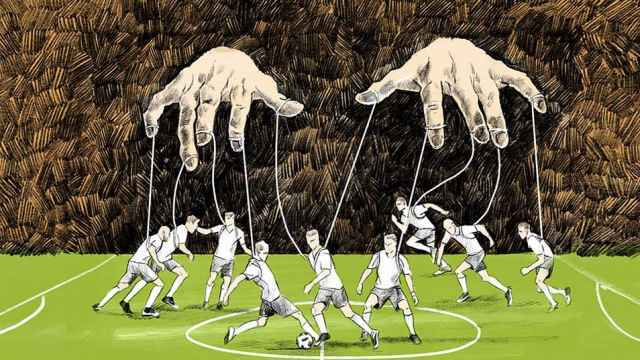 But if the Kremlin really is serious about wanting to try to gain some soft power and a more respectable place in the world on the back of what has so far been a friendly and well-organized football tournament, then it will have to modify its behavior so as not to waste it all, as it did after Sochi. So, less of a haven for the world’s pariahs. Fewer strident critiques of the West. The optics may get a little more rosy. After all, Russia does not have to try to present itself as the West’s friend, simply not its active enemy. Will that really be so hard? 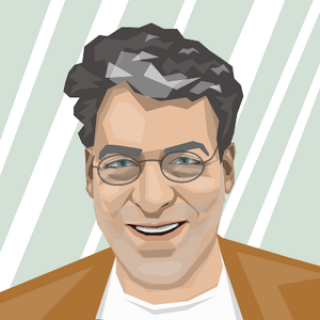 Mark Galeotti is Senior Fellow at the Institute of International Relations Prague and author of “The Vory.” The views and opinions expressed in opinion pieces do not necessarily reflect the position of The Moscow Times. 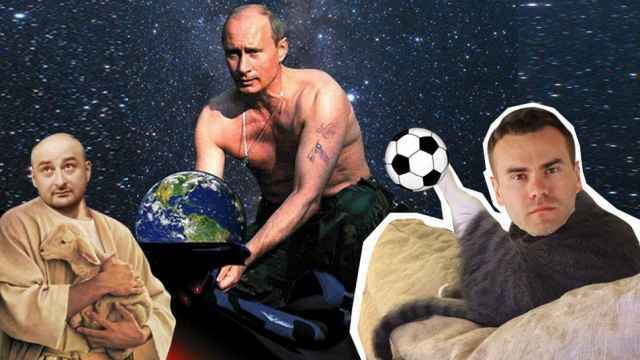 Here are the funniest memes that Russians produced in 2018.